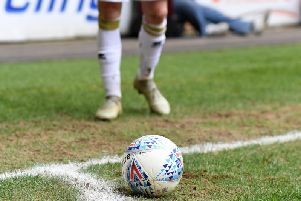 Dons captain Dean Lewington feels caretaker boss Richie Barker could have made more of an impact if he was told he had a long term future with the club. Karl Robinson's departure in October saw Barker step into the breach, initially for just one game - the trip to Sheffield United on October 30. Now though, Barker has overseen four matches but is still only being informed of his future on a day-by-day basis as the hunt for a new manager continues into a fourth week. But by only managing in the short term, Lewington believes any long term plans Barker may have had cannot be instigated, leaving the team to simply 'tick over' until a new manager is found. "Richie is just keeping the team ticking over," Lewington said. "If he'd been given a long brief, he might come in and change certain aspects. But he's going game-by-game, we're not sure how much longer he has. In that senses, not much as changed. "Training is still really good, and it's just a continuation. We're in a flux, which we've never had before. It has been as good as it could be." When asked whether the players would accept Barker as their new boss, Lewington added: "Absolutely. He's a talented coach, a good guy, honest, what you see is what you get. If you ask him a question, you get an answer. "But it's not for us to decide, it's down to the chairman and he'll make it without influences from outside, and quite rightly." As club captain, Lewington has been the go-to in the dressing room as his team-mates try to uncover more about the progress in the manager hunt. Chairman Pete Winkelman met with the players on Friday to keep them in the loop, but the skipper admitted there was little news to tell. He said: "We had a meeting with him last week before the game to tell us where he was at, where he was going and the options. "I've spoken to him separately too because the lads ask me all the time. But at the moment there isn't really any news. We're all in the same boat. "Everyone is waiting to see what happens, and we're in the same position as everyone else. If a manager's odds are cut really short, we start to think it might be him, and then they seem to drift out again. "You hear a name, it prompts a bit of discussion, whether anyone has worked with them, know them, know what they're like. "Without a manager, you're always looking to see it will be, but that's natural curiosity. We're not on tenterhooks, but it's just passing conversation. We come in and train like we always do. We're here to work, but we hear the rumours like everyone else." It isn't the first time Lewington has been to work without a manager though. Having seen Stuart Murdoch, Danny Wilson, Martin Allen, Paul Ince, Roberto Di Matteo and recently Robinson depart, the captain believes this time is 'stranger' than previous occasions. He added: "It has been different because this is the first time we've been without a manager for a long time, other than in the summer. When Stuart Murdoch left, Danny Wilson came in pretty quickly. It's a slightly strange situation."